In a small bowl, combine 1/2 cup sugar and red food coloring; set aside. In another small bowl, combine remaining sugar with green food coloring; set aside. In a large bowl, cream the butter, shortening and confectioners' sugar until light and fluffy. Beat in extract. Gradually add flour and mix well. Shape into 1/2-in. balls. Place 1 in. apart on ungreased baking sheets. Coat bottom of two glasses with cooking spray, then dip one in red sugar and the other in green sugar. Flatten cookies alternately with prepared glasses, redipping in sugar as needed. Bake at 375° for 8-10 minutes or until edges are lightly browned. Remove to wire racks to cool completely. For frosting, in a small bowl, combine the confectioners' sugar, butter, cream and extract. If desired, tint half of the frosting red and the other half green. Frost the bottoms of half of the cookies; top with remaining cookies. Yield: 5 dozen. Cut the top fourth off the loaf of bread. Hollow out bottom, leaving a 1-inch shell. Cut the removed bread into cubes to use with dip.In a bowl, beat the cream cheese. Add the sour cream, cheddar cheese and Worcestershire sauce. Stir in bacon. Spoon into bread shell. Wrap in a piece of heavy-duty foil. Bake at 325 for 1 hour or until heated through. (or microwave while still in bowl and spoon into bread). 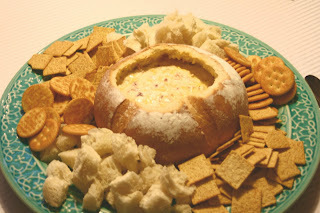 Serve with crackers and bread. Every year there are a few places that we go that we need to take a dish to. We normally need an easy recipe due to our busy schedule. We also love to share something delicious with those that we love. 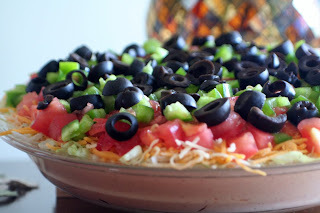 This taco dip recipe adapted from allrecipes.com is always a pleaser. So good! I love taco dip and this was no exception. Serve it at a party and it will be gone in no time. Tonight as the weather is cold and not so nice I begin to think of all the simple things that I am thankful for. I am thankful for a family that is loving and one that loves to talk so the conversation is always changing. I am thankful that we have a roof over our house and heat to keep us warm. Even though we like to sleep with the house just a bit cool I am thankful for blankets and a soft bed to lay. The meal that we prepare tonight I am thankful for as well, something warm to put in my belly and to know that the meal was bought on the super thrift using coupons at different times. I am thankful for the knowledge that I have learned through many different sources older women in the family, bloggers that have shared many awesome tips. My prayer tonight is for all those that are not as blessed as myself. I pray that with all my heart that all stay warm and comfortable. In a large bowl, add cereal and crushed cookies. Mix to combine. In another large, microwave safe bowl, add marshmallows and butter. Microwave 2 1/2-3 minutes, or until the marshmallows are super fluffy, and melt together when stirred. Stir together, until the marshmallows and butter are fully combined. Pour melted marshmallows on top of the cereal and cookie mixture. Use a spatula that has been sprayed with cooking spray to quickly mix the marshmallow cream and cereal together. Stir until combined. Quickly, pour/scoop the sticky mixture into a prepared 9"x13" pan. Spread the mixture around, and press down with spatula. While the cereal treats cool, crush 2 or 3 candy canes in a small ziplock bag. Sprinkle crushed candy on top of krispie treats. Repeat as above with semi-sweet chocolate. Top krispie treats with mini M&M's or festive sprinkles. Allow chocolate to set before cutting into squares. Line a baking sheet with parchment paper, place into the freezer at least 1 hour. Place almond bark into a double boiler bowl, heat and stir until melted, being sure NO water gets into the chocolate bark. Heat a small frying pan and toast nuts at a medium low temperature until golden brown. Keep an eye on the nuts so they don’t burn. Just takes a few minutes, be sure to stir them. Remove from heat and add cranberries to the pan. Stir until combined. Stir cereal and half of the nut mixture into melted bark. Pour bark mixture onto cold tray, spreading evenly. Immediately sprinkle with remaining nut mixture and M&Ms, press lightly onto surface of bark. Drizzle with melted dark chocolate, let stand 7-10 minutes or until bark is set. You could also place in the fridge for a bit to set quicker. Bring edges of parchment up over bark and break into various size pieces. •You can use two packages (12 ounces each) premium white or chocolate-flavored confectionery coating candy wafers instead of the almond bark. •When melting almond bark, make sure your bowl and utensils are completely dry. Even one drop of water will cause almond bark to harden and clump. 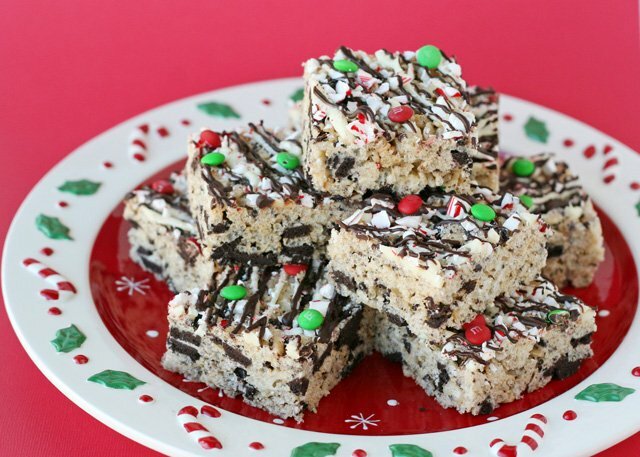 -Instead of a dark chocolate drizzle, you could also melt white chocolate and color it red or green with food coloring, festive for Christmas! Oh my it may be super cold where you are. There may be lots of snow or ice. Then again you may be in a warm tropical area (where I would love to be at times) and want to be a bit cooler. 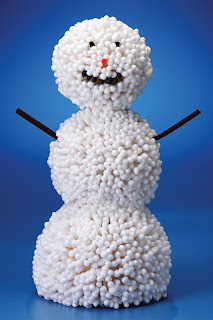 Whatever the case this snowman is super easy to build and the secret is something that many of us have our bathrooms. Mix all dry ingredients together, slowly add the wet ingredients minus the apple. Carefully mix until well combined but not overly beat,gently fold in apple pieces. The batter should be the consistency of a light cake mix. 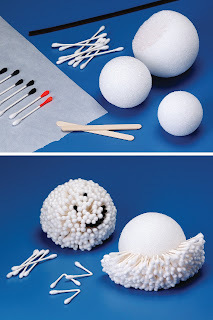 Once the oil is read (when a test drop of dough floats to the top of the oil) then using a cookie scooper or soup spoon, place a few balls of dough into the oil. Be careful not to overcrowd and watch carefully for the underside to turn golden brown, then gently flip over and continue frying until done. I cooked mine about 45 seconds per side, but they were the size of golf balls - adjust cooking times based on size of fritters and temperature of your oil. It is always a good idea to test one to ensure it comes out like you are expecting. National Roof Over Your Head Day is celebrated every December 3. Today is also give back day in many areas. What is more special during the holidays than the day to celebrate what we have and to give to those that are less fortunate. While many of us will be sitting in our comfy home when reading this post there are many that are less fortunate. Think about getting out there and doing for others and if not able to do that then how about those local charities that could use a boost financially or from volunteer work. NO better time to get started than now. Happy National Roof Over Your Head Day! •Mix all of ingredients in a very large bowl. Did you know that there is a prayer in every pretzel??? The first pretzels were created in France in 610 A.D. Yes they have been around for many years. The pretzels would be given to children by priest as a learning tool. The pretzel would help teach them how to pray properly. You see each part of the pretzel symbolizes part of a prayer The twist in the pretzel represents the arms of children in prayer. Each of the three holes represents the father, son and holy ghost. So why not share a pretzel with those that you see this season and say a little prayer tor them as well. Don't miss out on it.... Our top recipe on Pinterest.... A delicious Christmas Recipe that looks great as well.